Years before he created a print with all of Padme Amidala’s costumes for Star Wars Celebration IV, he did some prints of single outfits. 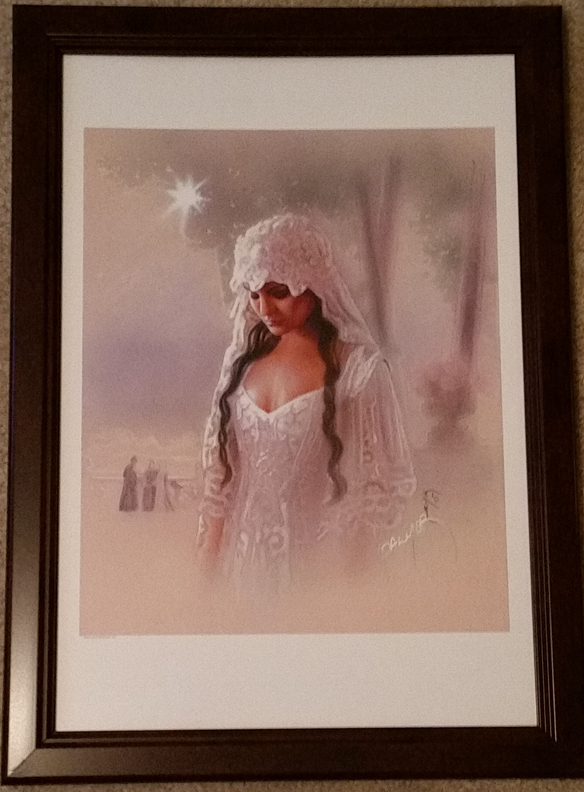 In this print, Padme is portrayed in the wedding dress she wore for her secret wedding on Naboo to Jedi Anakin Skywalker. I purchased this print from Jason Palmer at Dragon*Con on September 5, 2005.